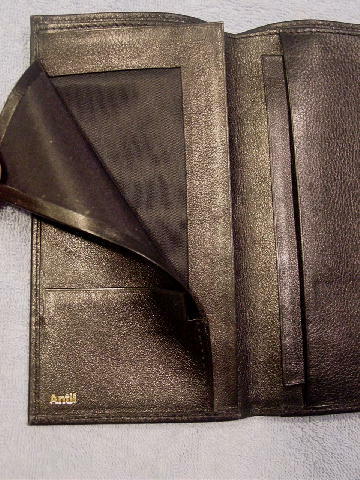 This black soft leather wallet/document holder is by Antil. 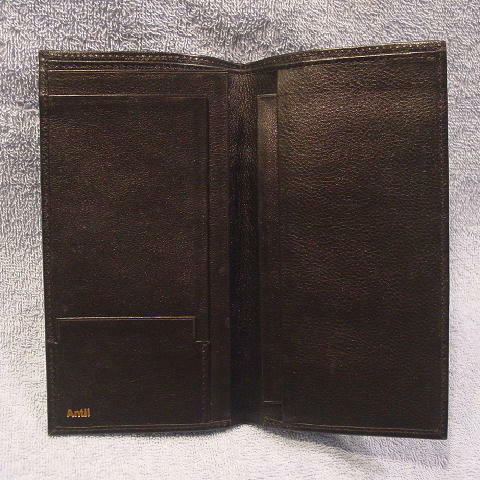 When open, the right side has a short card holder and two vertical sections. The left side has two vertical compartments. 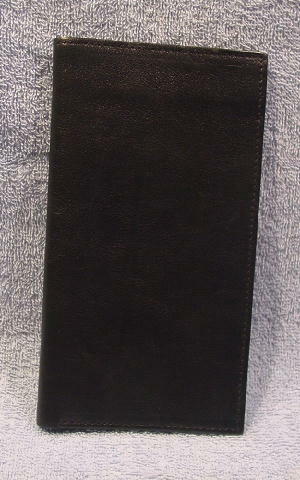 The vertical section has synthetic black fabric inserts. The back has a full back fabric-lined compartment. Antil is in gold letters on the lower left side. It's from a British male model.